The bungalows are situated on an elevated terrace with glimpses of the ocean. 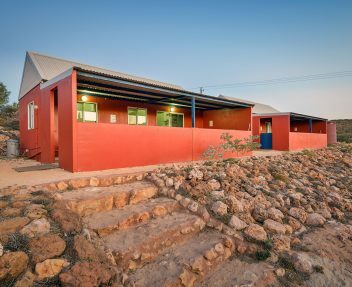 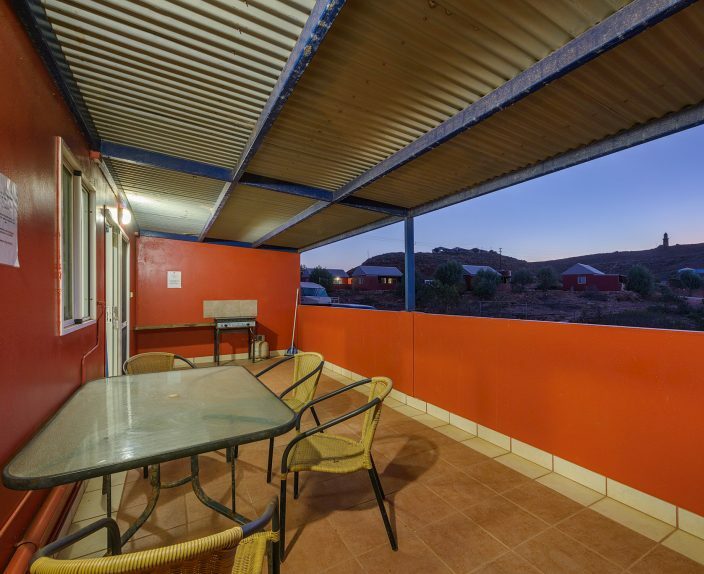 All our accommodation is designed to absorb the natural bush surroundings and it is common to see a Perenti lizard cruising past or even, a Wedge-tail Eagle scouting the grounds for its next meal. 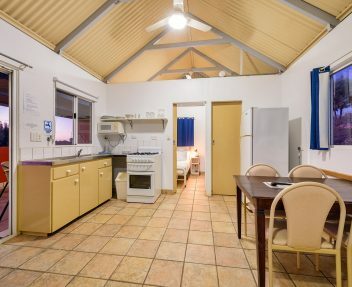 You can take in views of the caravan park and it is just a short stroll down to the beach to enjoy some fishing or beach-combing. 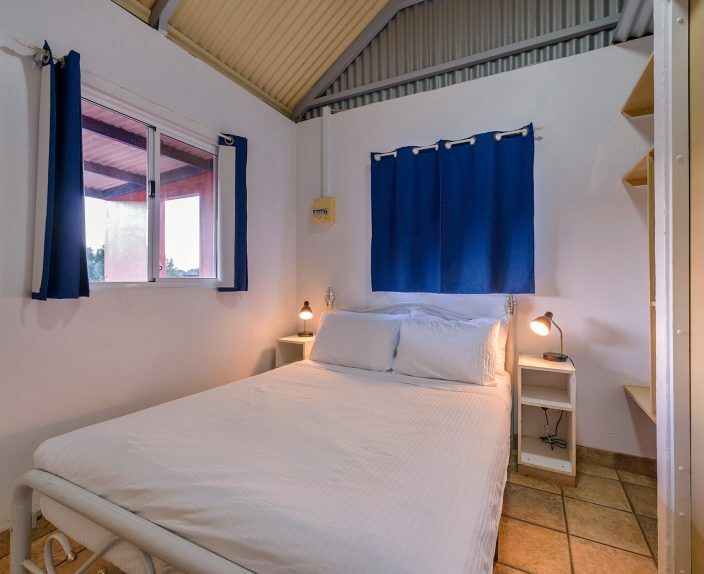 Your bungalow consists of a main bedroom that contains a double size bed with a semi-ensuite with the two single beds off the air-conditioned main living area. 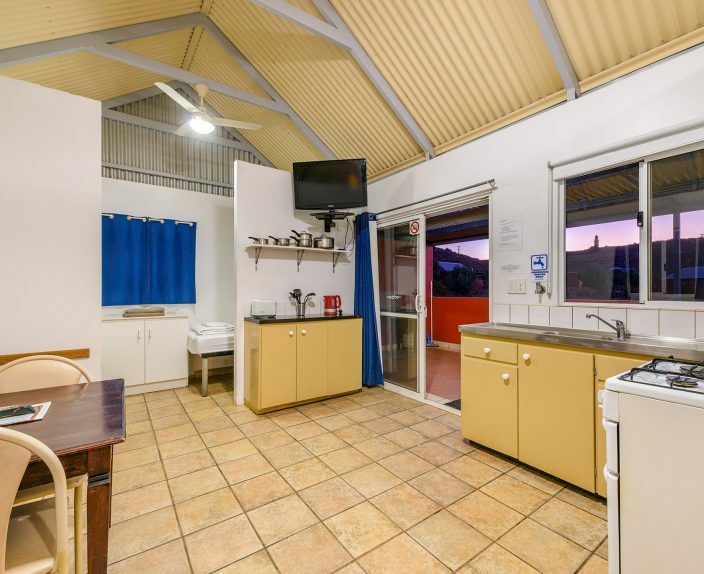 The living area has a self-contained kitchen with full size fridge/freezer, microwave, television and stove. A shady semi-enclosed outdoor verandah adds to the living area with your own gas barbeque and outdoor setting which allows for the open air feeling of north-west living. 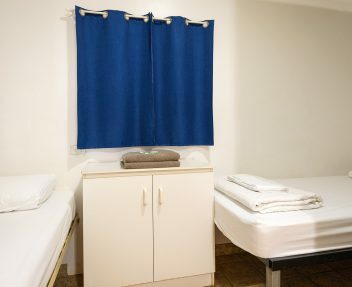 We also provide linen, bedding, and towels. 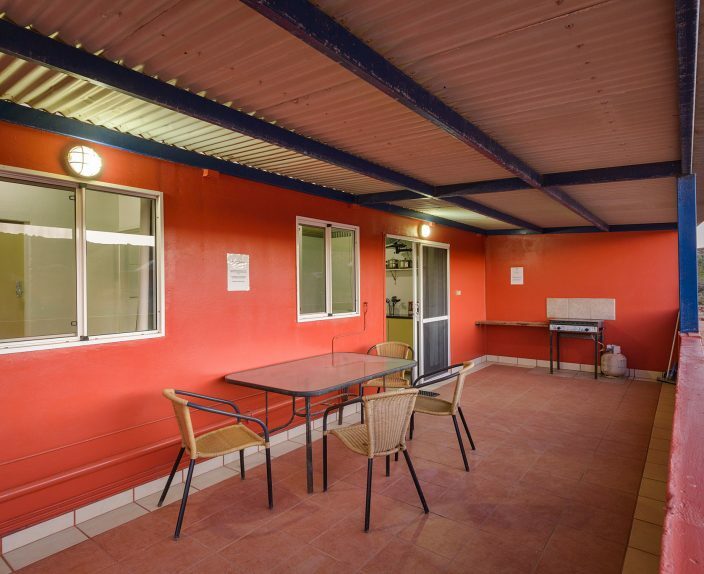 Each bungalow has its own car parking area with a side door entrance onto your outdoor verandah. 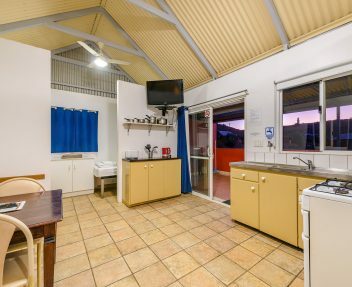 There are shared laundry facilities available with clothes lines close by. 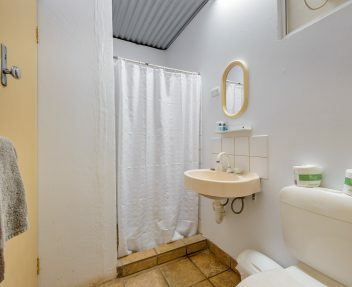 It is a short walk to the reception/shop, café and pool.